This model can be described as an estate based on the 121/122S (Amazon). It made its debut at the Stockholm Motor Show in February 1962. This extension of the model programme gave Volvo a more extensive programme in one and the same car family than ever before. It comprised 2- and 4-door saloons and 4-door estate. The P220 had four doors and the rear lid was divided into two parts, one part folded down and the other folded up. This design was inspired by estates from the USA. The production of the P220 took place alongside that of the PV445/P210 and the P220 became more frequent outside the Nordic markets. This car represented yet another important step towards a more family-oriented estate which was less of a into the commercial vehicle market. 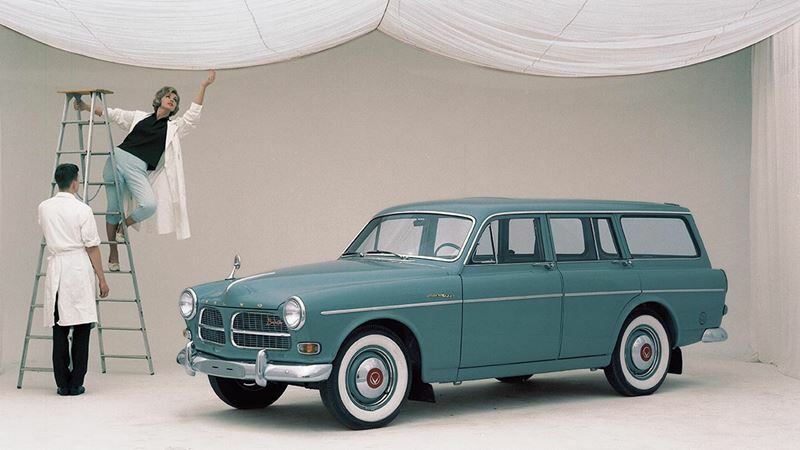 In this way, the P220 played an important role for Volvo in its development as leading producer of estates.